Scientists at the University of Plymouth have set up a computer model to provide detailed forecasts of wave and water levels that will aid in the management of coastal flooding and other coastal hazards. The Operational Wave and Water Level (OWWL) model uses UK Met Office mode output to predict wave and water level conditions at a 1km resolution, thus providing accurate predictions within each embayment on the complex stretch of coastline. Such detailed information was previously not possible using existing forecasts. 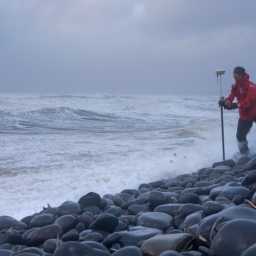 The OWWL model has been developed by the University’s Coastal Processes Research Group, in conjunction with the Channel Coastal Observatory, as part of a SWEEP Impact Project. Funded by the Natural Environment Research Council, the project contributes to SWEEP’s aim of delivering economic and community benefits to the South West, while protecting and enhancing the area’s natural resources. The OWWL system has been developed with the Dutch Delft3D hydrodynamic model at its core. It uses the Channel Coastal Observatory’s network of nearshore wave buoys and tide gauges to provide a real-time comparison between the conditions predicted by the model and those measured by the instruments. 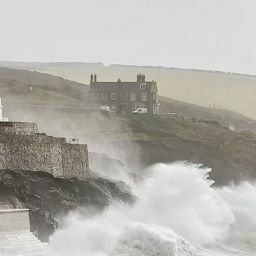 From the OWWL forecast website, people will be able to obtain a detailed forecast of waves and water levels for the next three days for a large number of locations along the coastline of the South West and South Wales. In the near future, wave overtopping and coastal flooding will also be predicted by the model, and coastal managers will be able to sign up to email alerts to warn them when coastal flooding is predicted by the model in their area. The aim is that the information will ultimately be used by local authorities, emergency services and the Environment Agency to proactively prepare for coastal flooding during storm conditions. The OWWL model is live and generating real-time forecasts on the Channel Coastal Obsveratory website, www.channelcoast.org/ccoresources/sweep/.